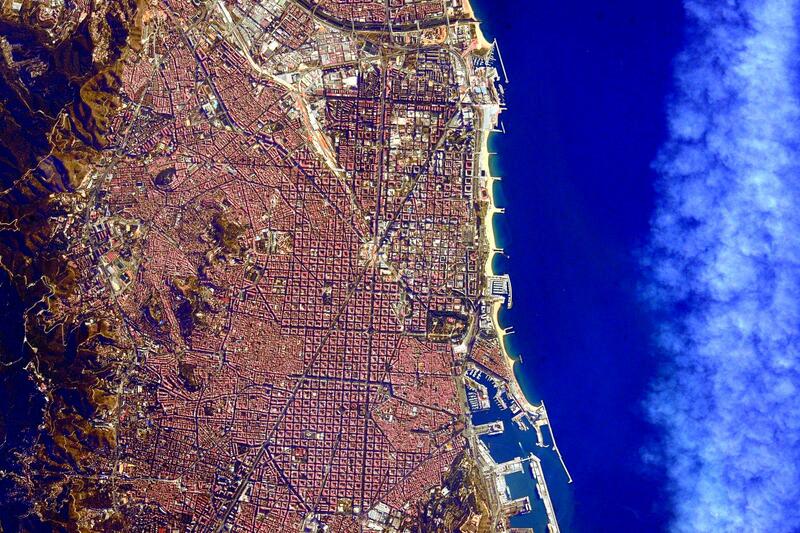 Barcelona is widely recognized as one of the most successful cities in the world, with it’s urban planning considered one of the best model in the world. The man behind Barcelona’s city plan is Ildefonso Cerdá y Suñer. 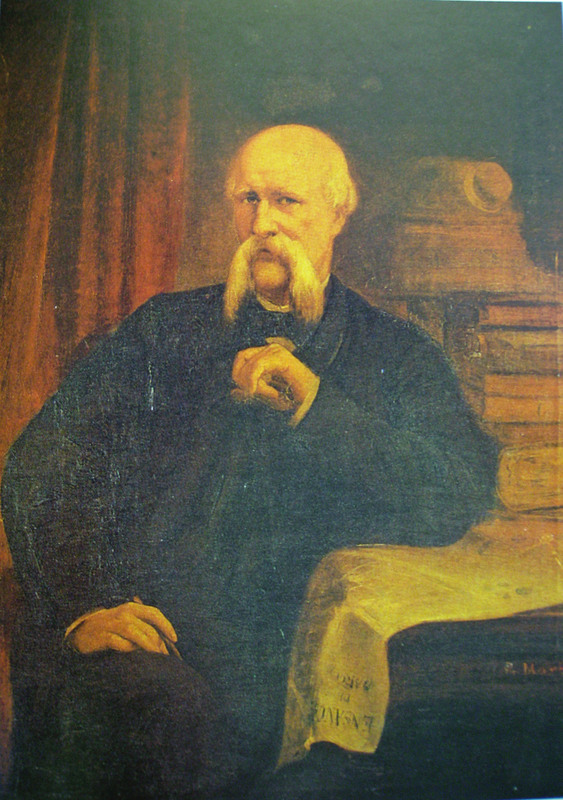 He was the progressive Catalan Spanish urban planner who designed the 19th-century “extension” of Barcelona called the Eixample. The Eixample is characterized by long straight streets, a strict grid pattern crossed by wide avenues, and square blocks with chamfered corners (named illes in Catalan, manzanas in Spanish). This was a visionary, pioneering design by Ildefons Cerdà, who considered traffic and transport along with sunlight and ventilation in coming up with his characteristic octagonal blocks, where the streets broaden at every intersection making for greater visibility, better ventilation and (today) some short-stay parking space. The grid pattern remains as a hallmark of Barcelona, but many of his other provisions were unfortunately ignored: the four sides of the blocks and the inner space were built instead of the planned two or three sides around a garden; the streets were narrower; only one of the two diagonal avenues was carried out; the inhabitants were of a higher class than the mixed composition dreamed of by Cerdà. The important needs of the inhabitants were incorporated into his plan, which called for markets, schools, hospitals every so many blocks. Today, most of the markets remain open in the spots they have been from the beginning. The proposed Maidar City intended to be a home of 300,000 people. Called Maidar, it’s intended to be home to 300,000 people and new high-tech industries, as well as being Mongolia’s new administrative nerve centre. 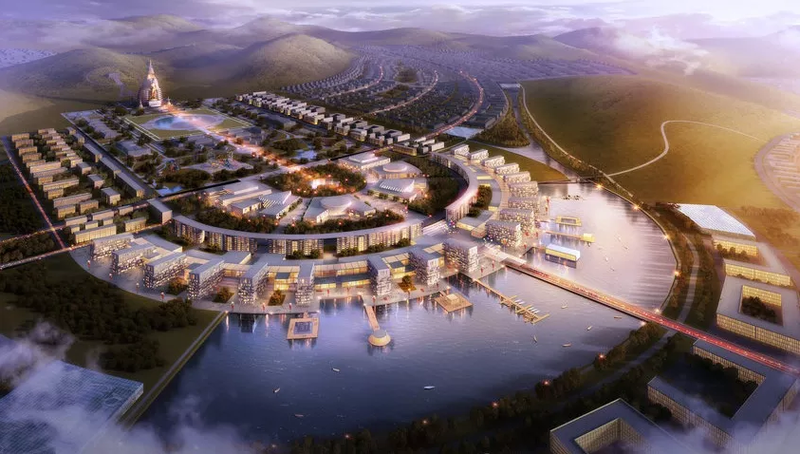 Designed almost entirely by German firms, and with investors reportedly champing at the bit to get involved – particularly from China – the new city will have to tackle a number of challenges including a severe scarcity of water. 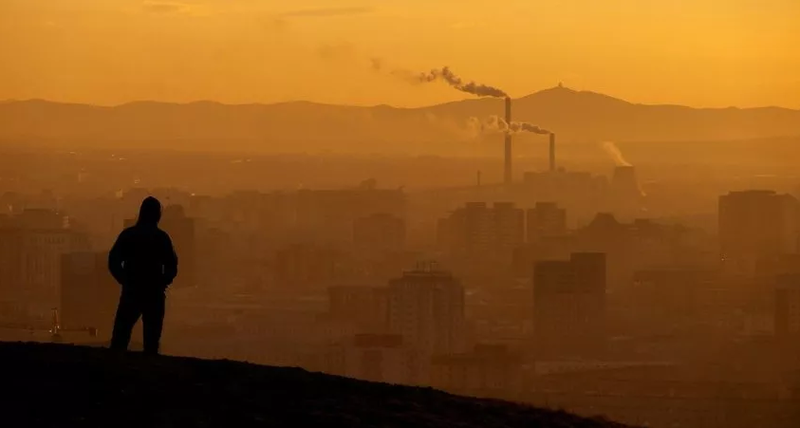 But if it goes ahead, Mongolians could finally get some relief from the deadly pollution that plagues their existing capital, and the country could have its first blueprint for sustainable urban development. The architect who landed this project of a lifetime was Stefan Schmitz, a 60-year-old partner in Cologne-based practice RSAA. GCR caught up with him on his return from Maidar to find out how the idea for the project came about, how you build an eco-city in one of the coldest and driest countries on Earth – and why there are so many German firms involved in doing it. Mongolia has the lowest population density in the world: 2.7 million people inhabit 1.6 million square kilometres, giving a density of 1.7 – about half that of Australia. But four out of every 10 of those people live in the capital, Ulaanbaatar, so a city that was built to accommodate 600,000 people now contains twice that number. This means that, paradoxically, near-empty Mongolia suffers from all the evils of urban overcrowding, including slums, housing shortages, traffic jams and deadly pollution. In winter, when the temperature averages 40°C below freezing and there is never a cloud in the sky. That sounds picturesque but constant high-pressure seals in pollution and, because Ulaanbaatar has no shortage of old cars, and because Mongolia relies on its abundant coal reserves for power, this creates smog so severe that is reckoned to be responsible for 10% of all deaths in the country. One solution to the intolerable living conditions in the capital is to build a series of satellite towns designed from the ground up to avoid its problems. At the moment, the country’s economy is suffering as a result of rows between the government and the mining multinationals that are responsible for 30% of the country’s GDP, but the growth trend over the past 10 years has been in double digits, reaching a peak of 17.5% in 2011. The result is that, just as the need for such a spectacular project is becoming greater, so is the money available to investors and home buyers to achieve it. Schmitz says that the demand for homes and the desire of industries such as tourism and media to relocate means that conditions for investment are perfect. “So it’s not a question of money, it’s a question of how to organise it,” he said. In fact, one problem is that there is too much money coming into the scheme from one source. When the Maidar project was conceived in 2012, it was intended to be a modest eco-town of 20,000 people built from scratch on the Mongolian steppes, about 20km south of the existing capital of Ulaanbaatar. Schmitz told GCR that the idea for a settlement began when the Grand Maitreya Foundation decided to build a 54m-high statue of the Buddha in an area of outstanding natural beauty on the southern side of the Bogd Khan mountains, about 20km from Ulaanbaatar. A private consortium of Mongolian companies backed by wealthy investors then decided to surround the statue with cultural and religious buildings, and a town for 20,000, built to strict ecological standards. RSAA was asked to handle the urban design without going through the inconvenience of entering a design competition. The practice already had a profile in east Asia thanks to its winning three other eco-cities projects, including the Tianjin scheme in 2004, however Schmitz says the firm won its Maidar commission on the basis of its personal connections with the investors and the Mongolian government. As the plans grew more ambitious, the Mongolian state stepped in and, although it didn’t provide any money, it did take over the regulation and administration of the project. The developers want Maidar to be an eco-city, but with Mongolian characteristics. The biggest single problem is water: Mongolia is about 1.3km above sea level, it’s too cold to rain or snow for about eight months of the year and Maidar is pretty much on the northern edge of the Gobi Desert. The design must make the most of what moisture there is. Fortunately, the Bogd Khan acts like a giant collector of the summer rains, so that water can be channeled into a reservoir. With supplementary ground water extraction and strict water use standards in homes, RSAA calculates that there will be enough left over to irrigate part of the northern Gobi and bring it into agricultural production. Another challenge is air pollution. Cutting that means reducing private car use through planning approaches that are now familiar from other eco-cities around the world. The city is designed to be “polycentric”, which means that its inhabitants do not have to travel far to get to get to work, do their shopping or enjoy their leisure time. Each section is a separate town with its own core, grouped around the central hub of the Buddha statue. Distances are designed to be short enough to walk or cycle. Public transport will take care of medium-length journeys, restricting the use of cars to intercity travel using a new highway that is planned between Maidar, Ulaanbaatar and a new international airport. It is also a short distance from Mongolia’s main railway line, which runs from Russia to China; Maidar will have its own station on that route. The finishing touch to the transport plans will be a cable car all the way to Ulaanbaatar. This is intended to cross the Bogd Khan, passing a newly built ski resort on its way. The constant sunshine of winter means that solar energy can be used to supply the city with hot water. But to begin with, some energy will also be supplied from fossil fuel sources. The plan is for a decentralised smart grid that can support the increase in renewable energy over the years. An existing wind park beside the city produces 50MW, and they want to boost that to 75MW. In the beginning power will be up to 50% renewable, and 100% within 30 years. As well as RSAA, a number of other German firms are working on the city. Stuttgart-based TransSolar is the energy consultant, Berlin’s Ingenierbüro Kraft is handling the water, while eco-certification is being done by the German Sustainable Building Council (DGNB) and property consultant Drees & Sommer. Will it really go ahead? So far, only the lower half of the statue has been built, but work is under way on laying out the sites, and Mongolia’s parliament is about to make a decision on whether to go ahead with the scheme. Schmitz is confident that it will get the green light. If it does, single parcels of land may be made available to investors around the world. Before they can take possession, however, they will have to sign binding agreements as to what they can and cannot do with their land. “The reason for this is that Mongolia has no network of environmental legislation, so we have to fix the preconditions in the property contracts,” says Schmitz. For example, one stipulation could be that every building must have two water systems, one for drinking and the other for everything else. “The key is to find a balance that allows us to both meet the ecological requirements of the city and keep investors happy,” he added. There is still time to strike that balance. Schmitz said the real beginning of construction will be 2017, once developers have prepared the site and settled on how the project will be managed. The first phase of residential and commercial development is scheduled to last for about 15 years, and will create homes for 90,000 people. Before then, a number of key industries are planning to relocate, such as financial services and the media, which has already negotiated its own 100 hectare complex. A German television documentary about Maidar can be accessed here. Aerial view overlooking landscaping in San Diego. Since before the first Earth Day in 1970, environmentalists have argued that solving environmental problems required humans to get closer to nature. The “back to the land” movement urged people to leave cities, which were viewed as crowded and polluted. Renewable energy was recommended because it integrates human civilization into natural energy flows, such as water, biofuels and the sun. Similarly, organic agriculture was better because it integrated farmers and consumers into the natural rhythms of nature. In recent years, though, a growing number of environmental scientists and activists are saying that the best way to protect nature is not by returning to it, but rather by leaving it alone. 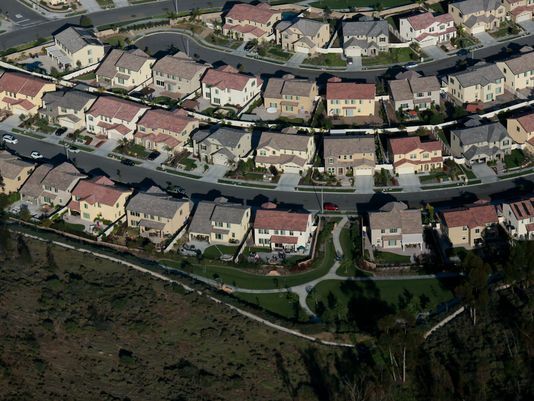 Today, most environmentalists embrace cities and reject suburban sprawl. Where cities take up just 1%-3% of the Earth’s ice-free surface, farms take up about 40%. Cities simply allow people to use energy and other resources more efficiently. By concentrating people in a denser land area, cities free up more of the Earth for nature and wildlife. Cities also turn out to be the key to reducing the overall size of the human population. Around the world, as people move to cities, women choose to have fewer children. That’s largely because children are no longer required to work on the farm. Parents are busy working in factories or some other urban job. As a result, the global human population will likely peak at 9 billion to 11 billion, from today’s 7 billion, and then decline. How much further the human population increases depends in large measure on how quickly people can find jobs in cities in places such as sub-Saharan Africa. For more people to live in cities, farmers who stay in the countryside will need to produce more food. While many of us have a romantic attachment to family farms, the truth is that growing more food on less land — and leaving more of the countryside to nature and wildlife — requires big farms that use fertilizer and tractors and have access to roads and electricity. This process of agricultural modernization has already been a huge success in the USA. In the 1800s, just 30% of New England was covered with forest. Today, 80% is forested. The reason for reforestation in the U.S. and other rich countries is not only because of agricultural intensification, but also because we stopped using wood for fuel as frequently. We built hydroelectric dams and fossil power plants, and piped natural gas into homes. We did not use wood, a “renewable resource,” more sustainably, but rather drastically reduced our consumption by creating better substitutes. The same cannot be said for the more than 2 billion people around the world who still rely on wood and dung as their primary source of energy and depend on low yield, subsistence agriculture and wildlife harvesting to feed themselves. Deep agrarian poverty is bad for both people and the environment. An estimated 4 million people die every year from inhaling smoke from wood and dung alone. And when people depend on wild animals (“bushmeat”) for protein, and on wood and charcoal for fuel, they hunt local wildlife to extinction, and degrade their forests for energy. In the United States and Europe, by contrast, we depend far less on nature anymore for our material well-being. Modern energy, mostly fossil fuels, has liberated people from the environment and the environment from us. The same improvements to agriculture that have allowed our forests to come back have also freed nearly all of us from back-breaking labor. Fossils fuels and modern agricultural practices today cause many problems, including air and water pollution as well as global warming. Even so, we should not forget the benefits they have brought. Looking forward, we should move to cleaner energy sources that use fewer natural resources. But protecting the environment and saving more nature in the 21st century will not require that we get closer to nature. Rather, it requires that we get farther from it, through better technologies. Getting off of fossil fuels will require that we shift to better energy technologies, such as nuclear and solar energy which are clean, power-dense and abundant. Growing more food on less land with fewer environmental impacts will require better seeds, fertilizers, pesticides, and things such as vertical greenhouses and laboratory meat that make us less dependent on land and water to grow food. Ultimately, nature made useless is nature spared. On this 45th anniversary of Earth Day, let us resolve to leave nostalgic dreams of re-coupling with nature behind and embrace instead an ecologically vibrant future in which all of humanity thrives by increasingly leaving nature alone. The shift occurred in 2013, when the world added 143 gigawatts ∫ of renewable electricity capacity, compared with 141 gigawatts in new plants that burn fossil fuels, according to an analysis presented Tuesday at the Bloomberg New Energy Finance annual summit in New York. The shift will continue to accelerate, and by 2030 more than four times as much renewable capacity will be added. The price of wind and solar power continues to plummet, and is now on par or cheaper than grid electricity in many areas of the world. Solar, the newest major source of energy in the mix, makes up less than 1 percent of the electricity market today but will be the world’s biggest single source by 2050, according to the International Energy Agency. The blue lines are what’s needed, in billions; the red lines show what’s actually being spent. Since the financial crisis, funding has fallen well short of the target, according to BNEF. Looking at this graph, we can see the incredible progress made just since 2011. Battery prices per kilowatt-hour have fallen from about $550 when the graph was made to about $450 now. For Tesla and Nissan, the gray rectangle (which represents current prices) is even farther to the left, to about the $300 range, where the economics really starts to change and battery-powered vehicles become feasible. But in the past year, the price of gasoline has fallen as well, and is now in the $2.50 range even in expensive markets. A glut of oil, and a possible thaw in U.S.-Iran relations, have moved the gray rectangle down into the dark blue area where internal combustion engines reign supreme. Still, if battery prices keep falling, the gray rectangle will keep moving to the left. The Swedish researchers believe that Tesla’s new factories will be able to achieve the 30 percent cost reduction the company promises, simply from economies of scale and incremental improvements in the manufacturing process. That, combined with a rebound in gas prices to the $3 range, would be enough to make battery-powered vehicles an economic alternative to internal combustion vehicles in most regions. But this isn’t the only piece of good energy news. Investment in renewable energy is powering ahead. The United Nations Environment Programme recently released a report showing that global investment in renewable energy, which had dipped a bit between 2011 and 2013, rebounded in 2014 to a near all-time high of $270 billion. But the report also notes that since renewable costs — especially solar costs — are falling so fast, the amount of renewable energy capacity added in 2014 was easily an all-time high. China, the U.S. and Japan are leading the way in renewable investment. Renewables went from 8.5 percent to 9.1 percent of global electricity generation just in 2014. That’s still fairly slow in an absolute sense. Adding 0.6 percentage point a year to the renewable share would mean the point where renewables take half of the electricity market wouldn’t come until after 2080. But as solar costs fall, we can expect that shift to accelerate. In particular, forecasts are for solar to become the cheapest source of energy — at least when the sun is shining — in many parts of the world in the 2020s. Each of these trends — cheaper batteries and cheaper solar electricity — is good on its own, and on the margin will help to reduce our dependence on fossil fuels, with all the geopolitical drawbacks and climate harm they entail. But together, the two cost trends will add up to nothing less than a revolution in the way humankind interacts with the planet and powers civilization. You see, the two trends reinforce each other. Cheaper batteries mean that cars can switch from gasoline to the electrical grid. But currently, much of the grid is powered by coal. 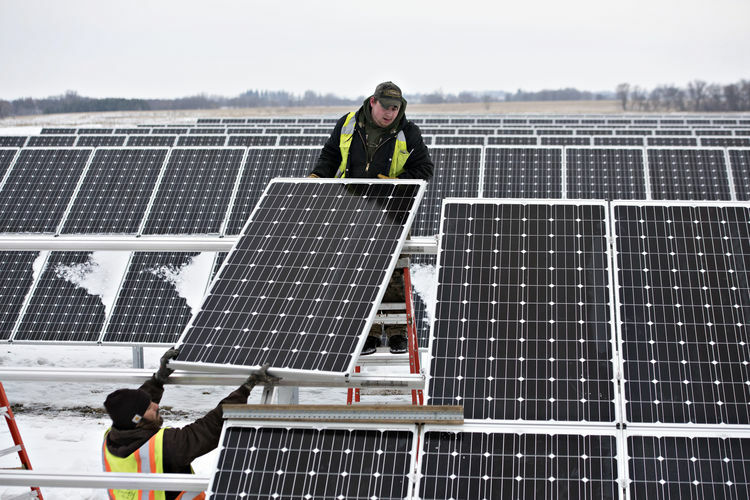 With cheap solar replacing coal at a rapid clip, that will be less and less of an issue. As for solar, its main drawback is intermittency. But with battery costs dropping, innovative manufacturers such as Tesla will be able to make cheap batteries for home electricity use, allowing solar power to run your house 24 hours a day, 365 days a year. So instead of thinking of solar and batteries as two independent things, we should think of them as one single unified technology package. Solar-plus-batteries is set to begin a dramatic transformation of human civilization. The transformation has already begun, but will really pick up steam during the next decade. That is great news, because cheap energy powers our economy, and because clean energy will help stop climate change. Of course, skeptics and opponents of the renewable revolution continue to downplay these remarkable developments. The takeoff of solar-plus-batteries has only begun to ramp up the exponential curve, and market shares are still small. But it has begun, and it doesn’t look like we’re going back. Nowadays, bodies of water aren’t necessarily something to build around—they’re something to build on. They sport not just landfills and man-made beaches but also, in a nascent global trend, massive solar power plants. Clean energy companies are turning to lakes, wetlands, ponds, and canals as building grounds for sunlight-slurping photovoltaic panels. So far, floating solar structures have been announced in, among other countries, the United Kingdom, Australia, India, and Italy. The Yamakura Dam project is a collaboration by Kyocera (a Kyoto-headquartered electronics manufacturer), Ciel et Terre (a French company that designs, finances, and operates photovoltaic installations), and Century Tokyo Leasing Corporation. So, why build solar panels on water instead of just building them on land? Placing the panels on a lake or reservoir frees up surrounding land for agricultural use, conservation, or other development. With these benefits, though, come challenges. Unlike a solar installation on the ground or mounted on a rooftop, floating solar energy plants present relatively new difficulties. 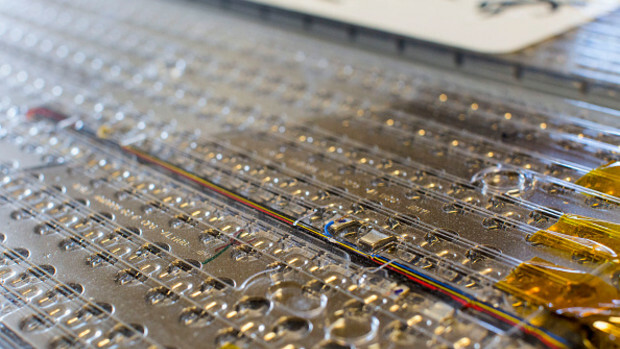 For one thing, everything needs to be waterproofed, including the panels and wiring. Plus, a giant, artificial contraption can’t just be dropped into a local water supply without certain precautions, such as adherence to regulations on water quality—a relevant concern, particularly if the structure starts to weather away. 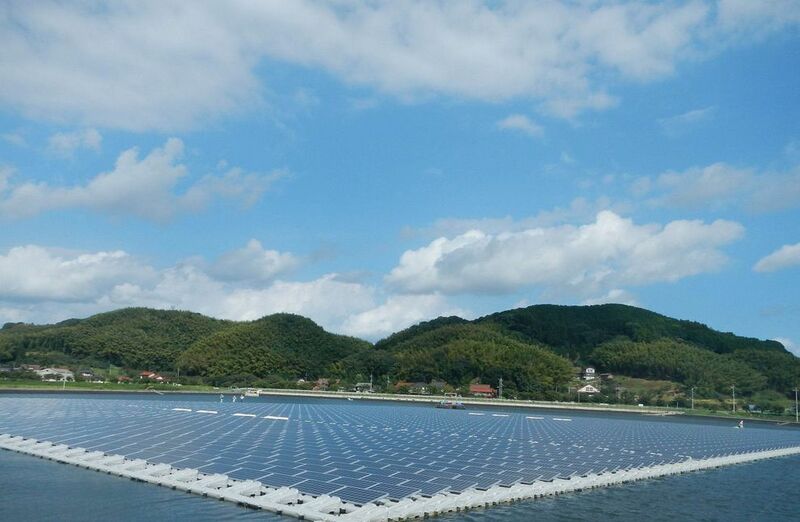 “That is one reason we chose Ciel et Terre’s floating platforms, which are 100 percent recyclable and made of high-density polyethylene that can withstand ultraviolet rays and corrosion,” says Ichiro Ikeda, general manager of Kyocera’s solar energy marketing division. Another obstacle? Japan’s omnipresent threat of natural disasters. In addition to typhoons, the country is a global hot spot for earthquakes, landslides, and tidal waves. 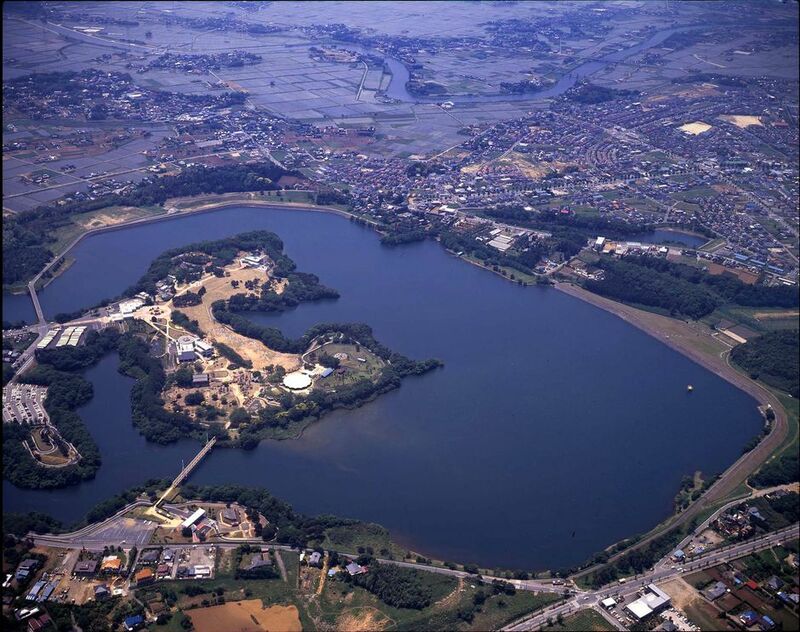 The planned floating solar array for Japan would sit atop the Yamakura Dam, east of Tokyo. To make sure the platforms could withstand the whims of Mother Nature, Ciel et Terre’s research and development team brought in the big guns: a wind tunnel at Onera, the French aerospace lab. The company’s patented Hydrelio system—those polyethylene “frames” that cradle the solar panels—was subjected to very high wind conditions that matched hurricane speeds. The system resisted winds of up to 118 miles per hour. Given its weather, why build floating solar panels in the storm-filled, Ring of Fire-hugging Land of the Rising Sun? The reason: Many nations could benefit from floating solar power. And Japan is their poster child. The largely mountainous archipelago of Japan suffers from a lack of usable land, meaning there’s less room for anything to be built, let alone a large-scale solar plant. However, the nation is rich in reservoirs, since it has a sprawling rice industry to irrigate, so more solar energy companies in Japan are favoring liquid over land for construction sites. Suddenly, inaccessible terrain becomes accessible. Kyocera’s Ikeda says available land in Japan is especially hard to come by these days, as the number of ground-based solar plants in the country has skyrocketed in the past few years. In Japan’s case, Ciel et Terre says that the region’s frequent seismic fits aren’t cause for concern, either. In fact, they illustrate another benefit that floating solar panels have over their terrestrial counterparts, the company says. Floating solar panel manufacturers hope their creations replace more controversial energy sources. This up-and-coming aquatic alternative impacts organisms living in the water, though. The structure stymies sunlight penetration, slowly making the water cooler and darker. This can halt algae growth, for example, which Ciel et Terre project manager Lise Mesnager says “could be either positive or negative.” If there’s too much algae in the water, the shadow-casting floating panels might be beneficial; if the water harbors endangered species, they could harm them. “It is really important for the operator to have a good idea of what kind of species can be found in the water body,” Mesnager says. Since companies must follow local environmental rules, these solar plants are usually in the center of the water, away from banks rich with flora and fauna. Plus, companies might prefer building in man-made reservoirs instead of natural ones, as the chances of harming the area’s biodiversity are smaller. Could the Future Include Salt Water? More than three-quarters of our planet is ocean, which might present alternative energy companies a blank canvas on which to dot more buoyant energy farms. But moving floating panels to the open sea is still in the future. Kyocera’s Ikeda says it would bring up a whole new realm of issues, from waves to changing water levels, which could lead to damage and disrupted operations. Ciel et Terre is experimenting with salt water-friendly systems in Thailand, but ocean-based plants might be impractical, as offshore installations are costly, and it’s more logical to produce electricity closer to where it’ll be used. For now, companies are aiming to build floating energy sources that conserve limited space, are cheaper than solar panels on terra firma, and are, above all, efficient. Ciel et Terre says that since its frames keep Kyocera’s solar panels cool, the floating plant could generate up to 20 percent more energy than a typical ground system does. The Yamakura Dam project might be the world’s biggest floating solar plant, but it wasn’t the first-and it almost certainly won’t be the last.